Most popular web language recently got a makeover. A complete one. After PHP 5.6, we are now looking at PHP 7 which stands for a revolution in the way we deliver applications that power everything, from websites to cloud. You might wonder what happened to the inbetween version. Yes, guys at Zend are quite aware there is a number between 5 and 7. The thing is – there was a PHP 6 in the past, but only as an experimental project. The version never reached the production phase. So, to prevent users from mixing up the former attempt with the latest release, the new major edition runs under the name PHP 7. Magento 1 is not officially compatible with PHP 7, but it’s easy enough to patch it, and well worth it. PHP 7 constantly gives double the performance of PHP 5.6, with all other things (MySQL, OpCache setup, hardware, etc.) being the same. What’s more important, PHP 7 improves performance everywhere, including the worst case scenarios, while other technologies, like caches (Varnish, Redis, etc.) improve only the best case scenario. And it works on a completely different level, so you can combine all of that to get a really, really fast Magento 1 store. But performance is not all there is to PHP 7. There are also some very interesting new features. My personal favorites are much improved input type hints and return type declarations, as well as the null coalesce operator. They help preventing a whole class of bugs and security holes, as well as making code more self-documenting. 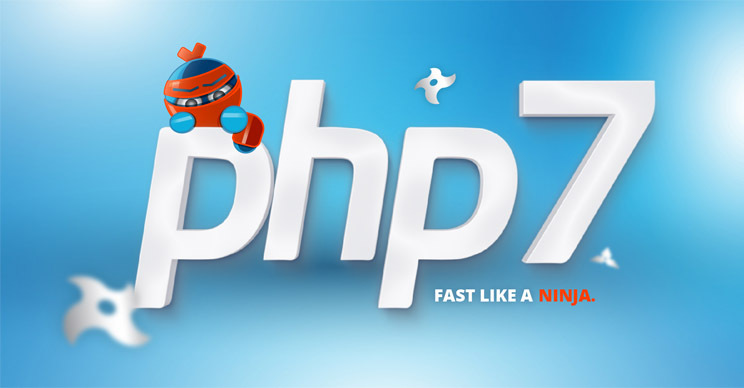 To sum it all up, PHP 7 comes with long awaited advantages our developers are enjoying working with. From the significant performance improvement, handling fatal and catchable errors, to accurate type declarations and null coalescing operators. Now, since the holiday season already started, we got something coming up this Friday – make sure to stay tuned. Inchoo prepared something that will spice up your holidays and working with PHP 7 and Magento better than Christmas decorations and mulled wine. as for magento1: will you provide your insides about needed patches for php7 in a future post? would certainly be appreciated!